Lovely puff pastry filled with creamy asparagus. 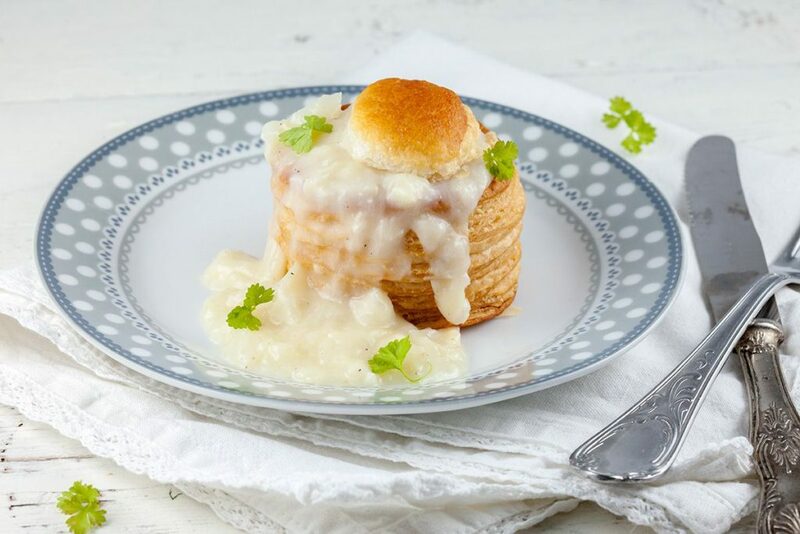 White asparagus vol au vents are a great lunch dish. Ready in half an hour.